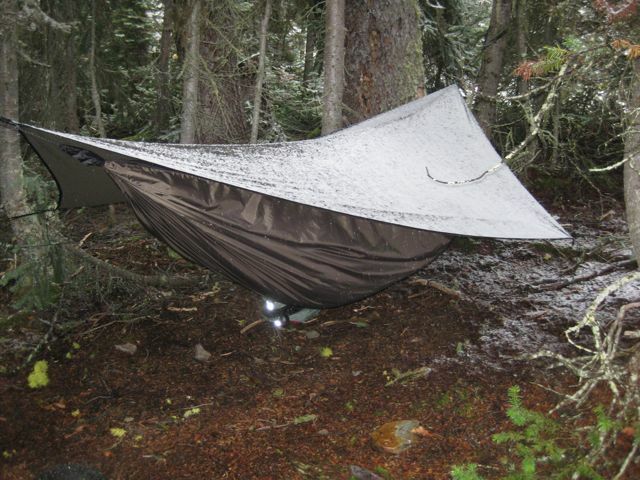 The Hennessy Hammock Ultralite model is a truly innovative approach to backcountry sleeping. 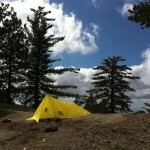 It is a lightweight solo shelter designed to be suspended between two trees. I borrowed the Hennessy from a friend to try it out on a recent hike in the Rocky Mountains. Upon first hearing about the Hennessy I was skeptical about having to sleep in a banana-shaped apparatus, however Hennessy has designed their hammocks in an aysmmetrical polygon shape. This means that the individual sleeps at somewhat of an angle across the middle axis of the hammock, flattening out the sleeper’s body. 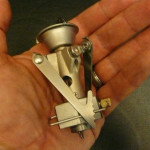 It takes a bit of time to understand how to set up the Hennessy, but once you have it figured out it is quick and simple. It does take a little more effort to find a suitable pair of trees, especially if you do most of your hiking in parks where tent sites have been laid out. 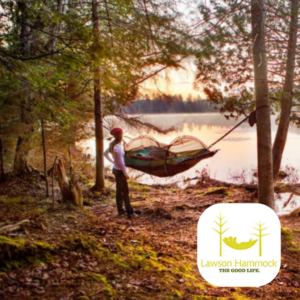 If you do most of your hiking in undeveloped backcountry the hammock can be even more versatile than a tent, as long as you have sturdy trees. 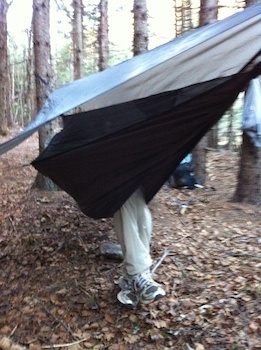 The biggest drawback for the Hennessy Hammock is that the asymmetrical design is only able to keep the sleeping area mostly flat, not completely flat. This shouldn’t be much of an issue if you are a back sleeper, however for me as a side sleeper it can be impossible to get into a comfortable position. 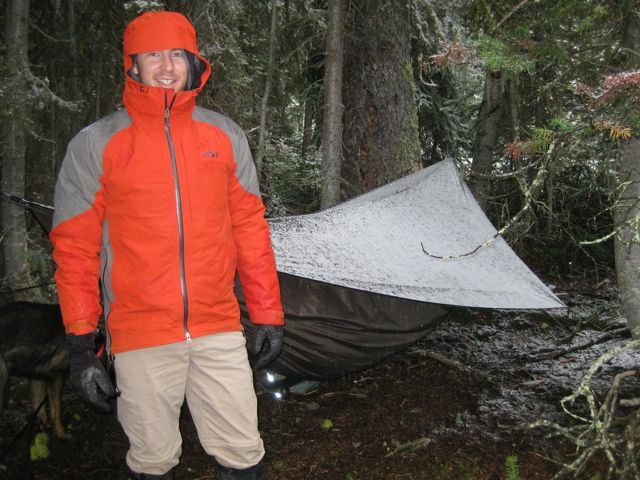 All things considered, if you are a back sleeper and looking for a lightweight, well-built, bug-proof, rain-proof solo shelter and don’t plan on hiking above the tree line, then the Hennessy Hammock is an excellent choice. 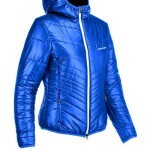 In fact, if I was able to sleep on my back comfortably I would purchase one without hesitation. However, as I’m not willing to retrain myself to sleep in a different position, it looks like I will stick to the ground in a more traditional tent design. 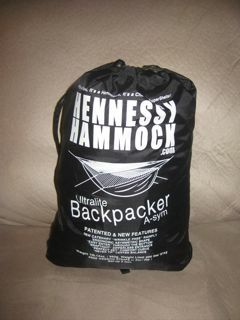 The Hennessy Ultralite Hammock retails for $199 .95. Check out their website for more information. 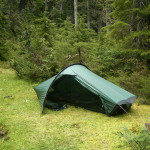 Hammock Bivy or Tent as Your Back Country Abode? Matt grew up hiking, camping, and enjoying the outdoors. As his age and wisdom increased, so did his appreciation for time spent in the wilderness; although he still has a long way to go in all three departments. 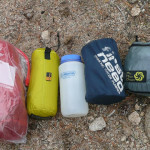 He has done backpacking trips all across Canada and hopes to expand his adventures to other countries around the world.